Please note we are extending this event by one week until Friday 25 May join the chat now! 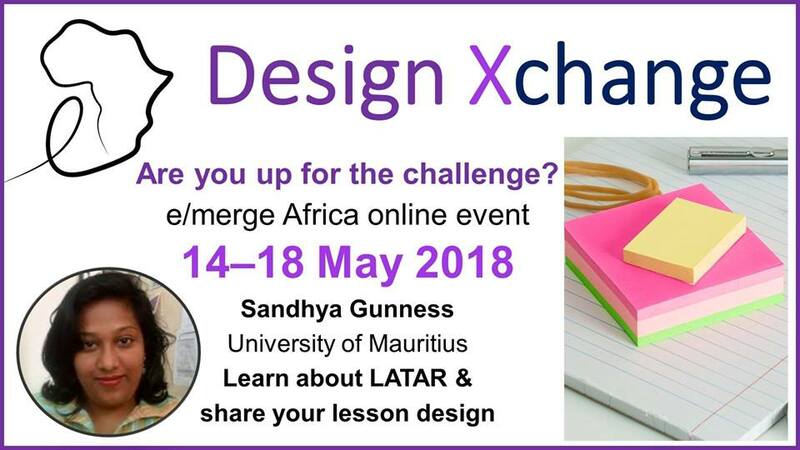 Format: This online event takes the form of a facilitated event on the Design Xchange Facebook group that will be shared on the e/merge Africa Facebook group closer to the time. Two videos will be provided as a stimulus. Participants are invited to discuss the presented videos and to share their own lesson designs. How can we align learning outcomes, assessments and meaningful and contextual activities? This online event focuses on devising hands-on learning activities using the LATAR model. As education is moving from teacher-centred to more learner-centred approaches, learning should be more situated in the learner’s environment and consider a sharper alignment of assessments to learning outcomes, especially when 21st century skills are involved. The BSc and MSc Educational Technologies Programmes were launched at the University of Mauritius to help educators integrate technology more meaningfully in their classrooms. The learning design modules have considered LATAR as a rapid technique to engage primary and secondary school teachers to design learning activities through a themed approach, thus making for a more holistic and inclusive learning approach. Through participating in this event you will be exposed to how others are designing lessons that incorporate technology for their contexts. Be bold and participate by sharing your design to get constructive feedback from peers from across the African continent. 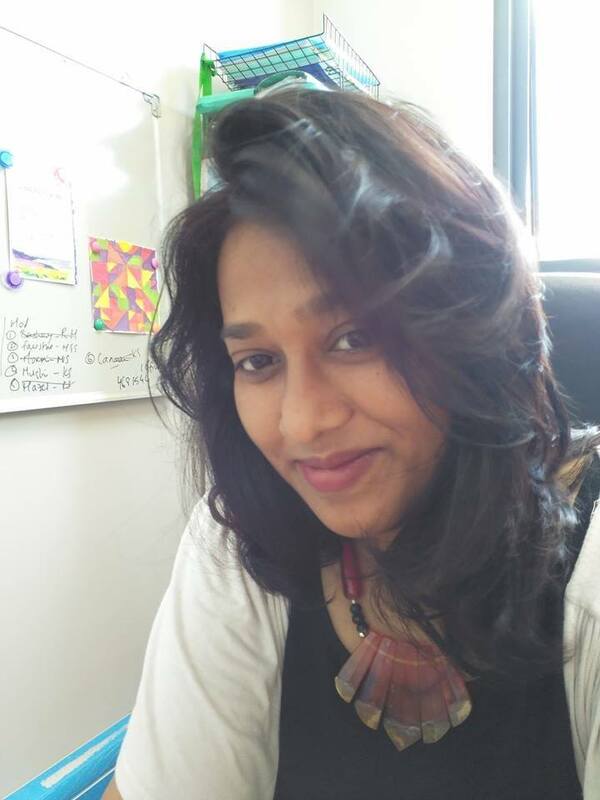 Sandhya Gunness is a lecturer in the Open and Online Learning at Centre for Innovative and Lifelong Learning at the University of Mauritius. She teaches Primary and Secondary level teachers about OER and technologies so that they can improve their teaching practices. This is formalised through an online module delivered within the BSc Educational technologies programme at the University of Mauritius. She is currently doing research on the extent of teaching transformations and whether this can be sustained in Mauritian Schools through Open Educational practices. She is also interested in Collaborative Networks and how these are linked and enhanced through Open Educational practices.